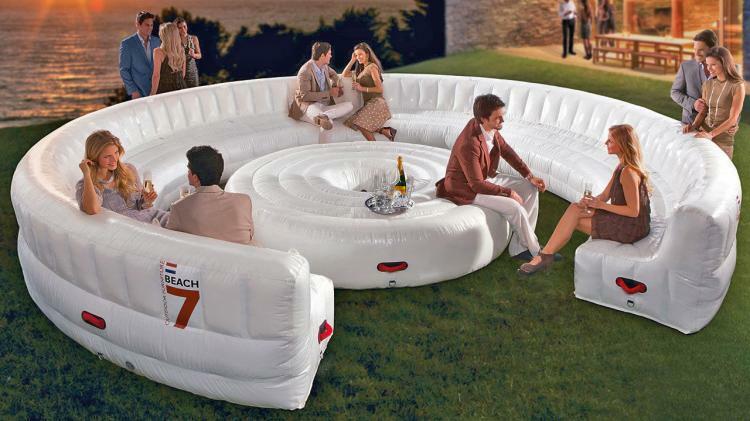 This massive inflatable couch can seat up to 30 people and is perfect if you're planning on having a party, gathering, classy wedding, funeral, or LARP get together in your backyard. 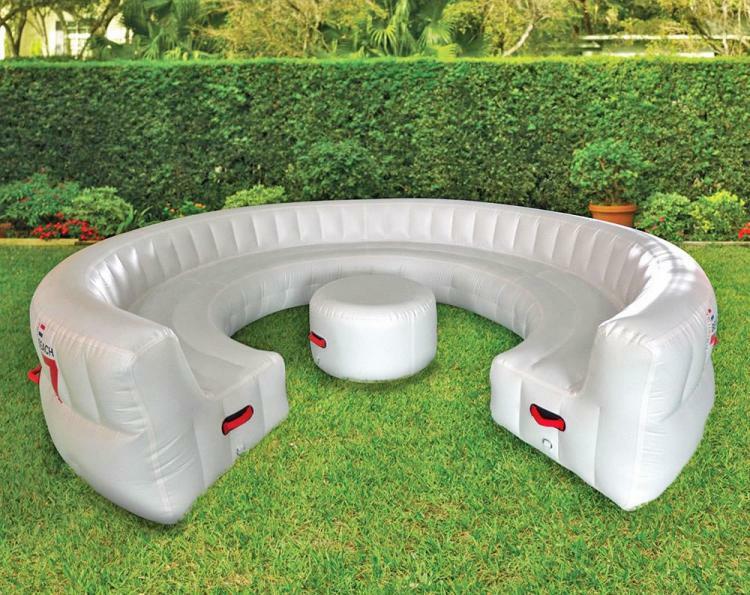 The inflatable lounge features a giant circular seating area with a portion of it cut out for the entrance/exit, as well as a central table that you can used to set drinks or food on, or kick back and put your feet up (just don't plan on having a after party for a baseball game where people will be wearing cleats). 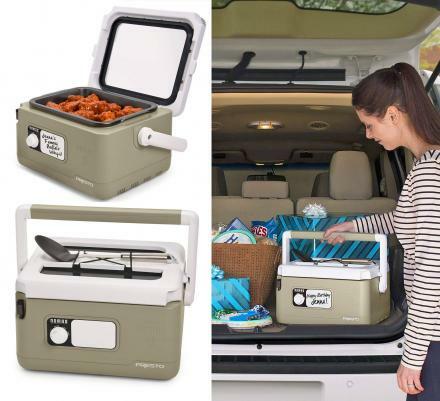 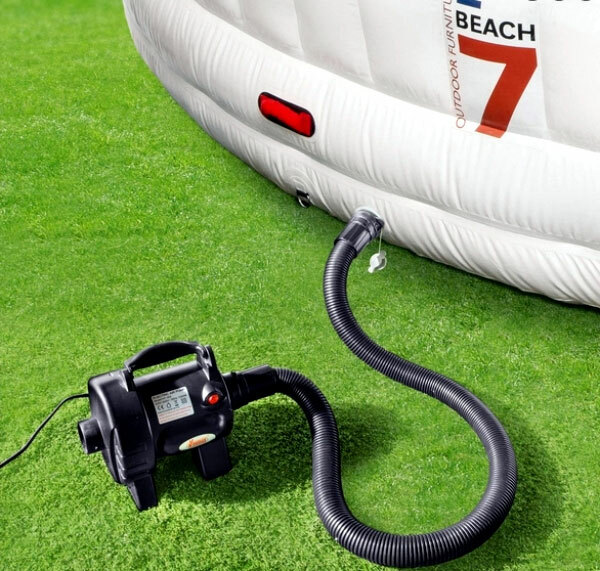 The Beach7 Airlounge XL inflates in just 10 minutes using the included 100 watt air pump, it also deflates and easily folds down to store away, just be easy on the back as when it's deflated this giant sofa weighs 220 lbs. 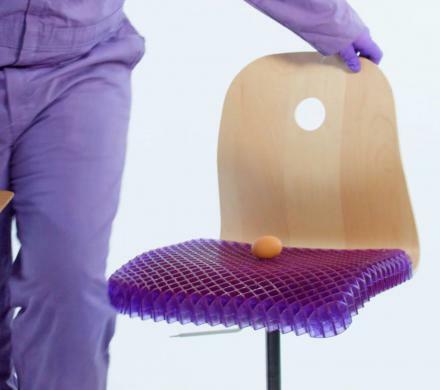 Sure $7,000 is a lot of money, which you could probably just buy 30 folding chairs for like 100 bucks. But when you're as successful as you are, money is no problem, which is why you light your cigarettes using 100 dollar bills. The giant inflatable circular party sofa is made from reinforced 100-denier PVC, is tear resistant, is splash and weather resistant, comes with 8 rings that will keep the sofa in place in case of high winds, and both the ottoman and sofa come with handles to easily move it from one location to the next (you may want to switch locations every now and then so you don't kill all your grass). 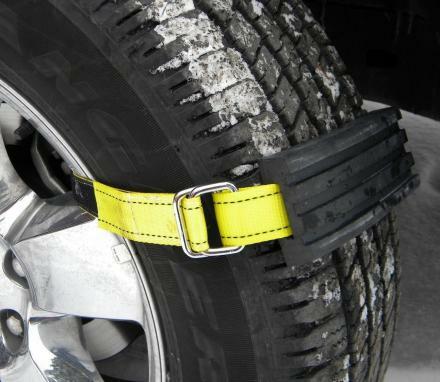 The sofa measures 25 inches deep and has a 16 inch tall backrest. 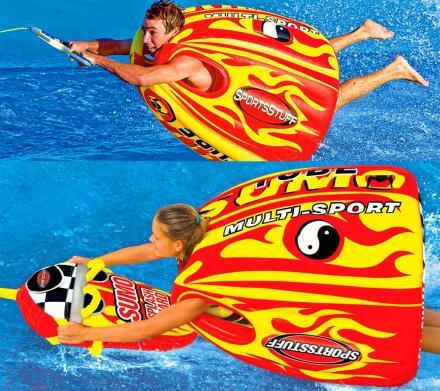 While fully inflated the couch measures 18 feet in diameter x 3.5 feet tall, whereas the ottoman measures 8 feet in diameter. 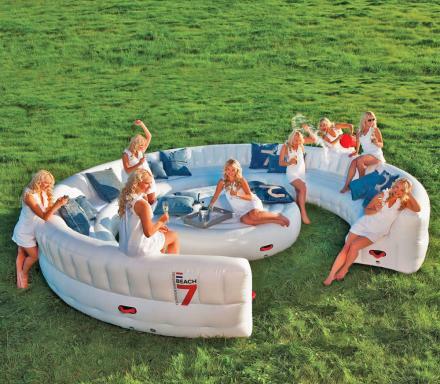 Check out the giant inflatable AirLounge sofa in action via the video below.